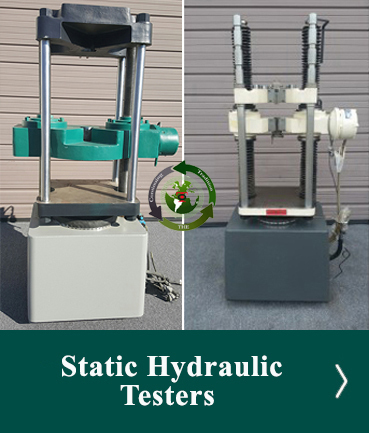 The Super L Series testing machines are rugged tension and compression hydraulic machines proven in thousands of demanding applications worldwide. Available with a variety of control and display options, frames can be customization to accommodate different shapes and sizes of specimens, more frame customization to allow simple loading of specimens, and a host of testing accessories for accurate and repeatable testing. All testing hardware is fully complemented by Tinius Olsen developed Horizon software that turns your hardware into a sophisticated quality analysis system. Be sure to Ask about this option to determine which configuration is right for your application. 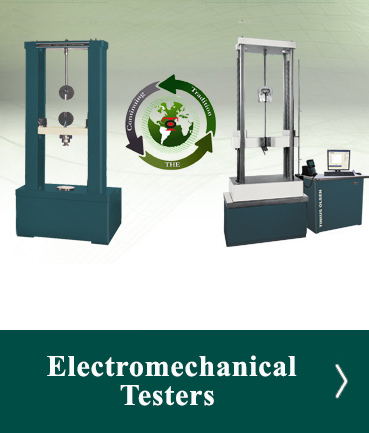 Specifically designed for the highly accurate measurement of strain and deflection, these instruments provide valuable testing information. Extensometers measure strain, which is calculated as the change in length of a specimen divided by the original length (gauge length) of the specimen and expressed as a percentage. 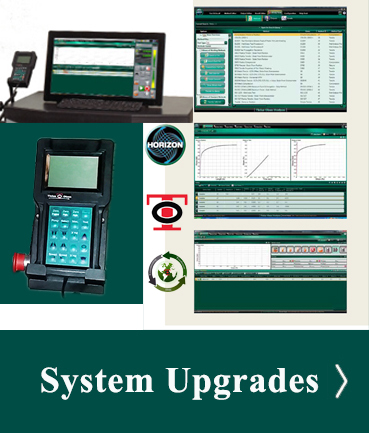 Products include extensometers for elongations up to 50% and gage lengths up to 2 inches, extensometers for high temperature or longer gage lengths, extensometers for high elongation, deflectometers and compressometers, and bolt extensometers, all of which use LVDT technology to measure the displacement. 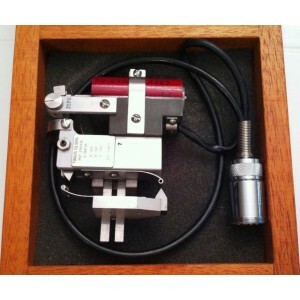 In addition to these technologies we can also supply strain gage based extensometers, powerful non contacting video extensometers, laser based non-contacting extensometers and encoder based automatic variable gauge length extensometers. LVDT extensometers measure strain by means of knife edges which contact the sample, one of which is fixed in its position, and the other which is located on a moveable arm. This moveable arm is actually a pivoted arm, on one end is the knife edge and the other is attached to an armature that moves through an LVDT coil. Most of these extensometers can be adapted to your exact specimen holding needs by different options, but in their standard form hold flat or round specimens from 1/16” to 5/8” (1.6mm to 16mm). 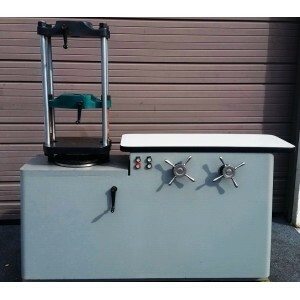 This unit is priced and offered complete with Load Frame and Control Console - Less Display. Display Retrofit will be required!! Also supplied with Hand Operated Lever Grip Assembly - less grips. 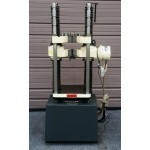 The industry’s most rugged and reliable Brinell Hardness Testers. With the Tinius Olsen Air-O-Brinell Metal Hardness Tester, standard Brinell hardness tests can be made quickly, easily and with full assurance of accurate and uniform load applications. For meaningful hardness determinations, the Brinell test offers distinct advantages. The relatively large diameter area of the impression assures a better average determination of hardness. It provides an excellent index of machinability, uniformity of grade, temper after heat treat, wear resistance, strength, ductility, body hardness, etc. 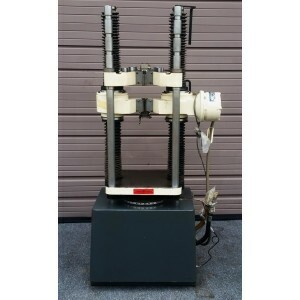 The Olsen line of air-operated testing machines offers a combination of laboratory accuracy, plus rugged construction to withstand the most demanding shop requirements. 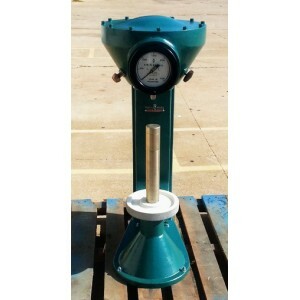 Air-O-Brinell units feature a large, easy-to-read gage mounted in the head. The gage is accurately calibrated for standard loads of 500, 750, 1000, 1500 and 3000 Kgs.